Journal of Computer and Education Research (JCER) (ISSN 2148-2896) is an international peer-reviewed journal. In order to reveal the knowledge of computer and education world scientifically, JCER includes qualitative and quantitative studies about educational sciences and all the areas of field education, meta-analysis studies which inclusively evaluate the body of literature, model proposals and similar authentic writings. Besides, current studies which use advanced research/statistical methods and techniques are given priority. In addition to the studies’ competence in terms of methodology, it is also the main publishing criterion to present an original and new contribution to the field. 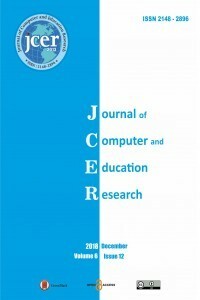 JCER is an international standard peer-reviewed journal which is published in order to reveal the knowledge in the education field of computer and education world and to deal with them with a scientific way. It considers the articles which are related to pre-school, elementary school, secondary school, high school, university and postgraduate education subjects, which investigate the problems related to computer and education world, which propose solutions, and which include development/innovations and have qualities for the profession.